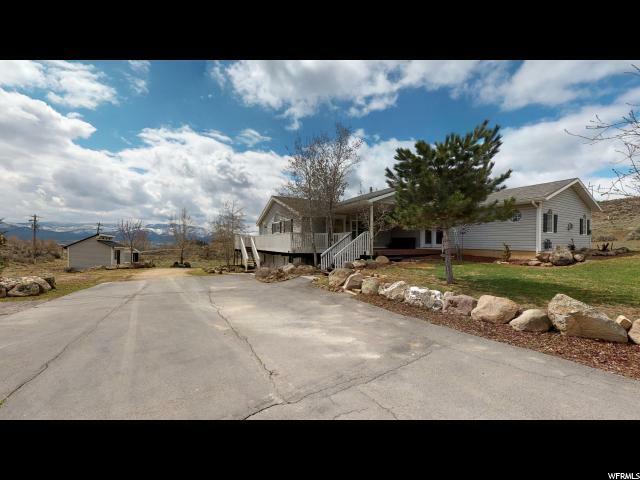 Come see this stunning 5-acre property in Heber Valley, with plenty of room for horses and pets to roam, with a dog run included. 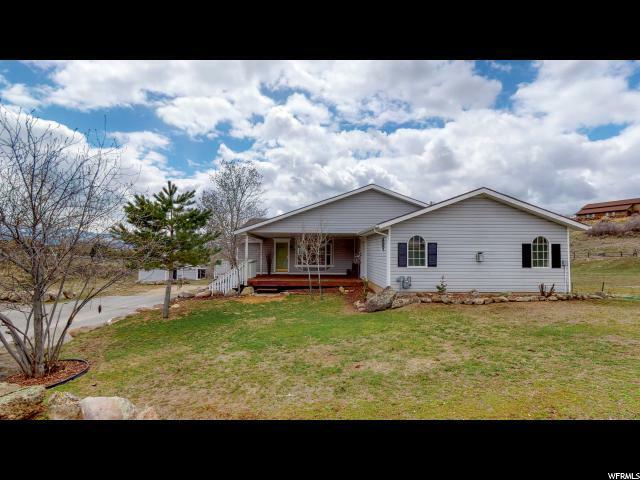 Enjoy the peace and quiet while watching the deer prance across the property and through the mountains from the deck, or enjoy relaxing on the covered patio and breathing the fresh mountain air. Just a few steps from the house is a shed, ready to be converted into an art studio or home office. Power is already provided at the shed. Wonderful hardwood floors cover the kitchen and main living areas of the home. Enjoy a custom walk in closet in the Master Bedroom, with an on-suite bathroom. A grand family room provides plenty of space to entertain and a rock-faced gas fireplace to warm up on cold winter nights after a long day of skiing. Only a short 15-minute drive North to access the powder ski slopes of Deer Valley Resort or enjoy summer activities, boating at Jordanelle Reservoir or head south 15-minutes to Deer Creek Reservoir for more outdoor activities. A quick 25 minutes to Park City dining, shopping, skiing or outdoor summer concerts. Discover world class fly-fishing in the Provo river which runs through the Heber Valley. 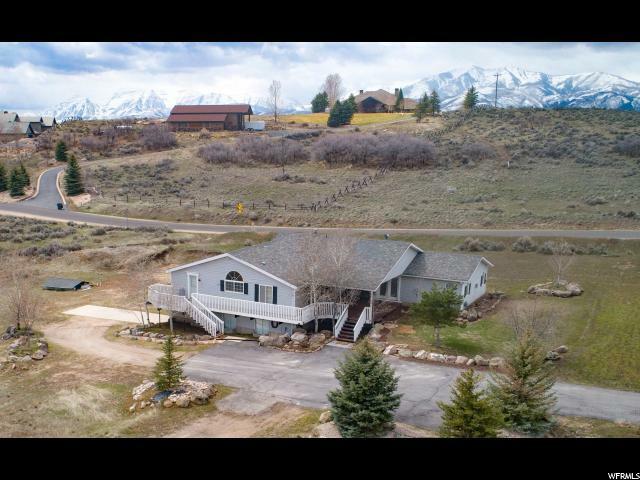 Jump on an ATV from the driveway to access many mountain trails and spectacular views of the Wasatch Back mountain range. 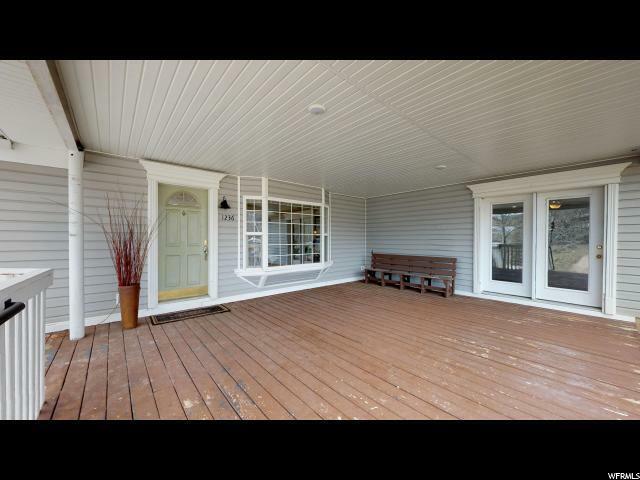 Enjoy country life with quiet streets, while still being close to shopping and amenities, this home is sure to go fast! Square footage figures are provided as a courtesy estimate only and were obtained from County. Buyer is advised to obtain an independent measurement.